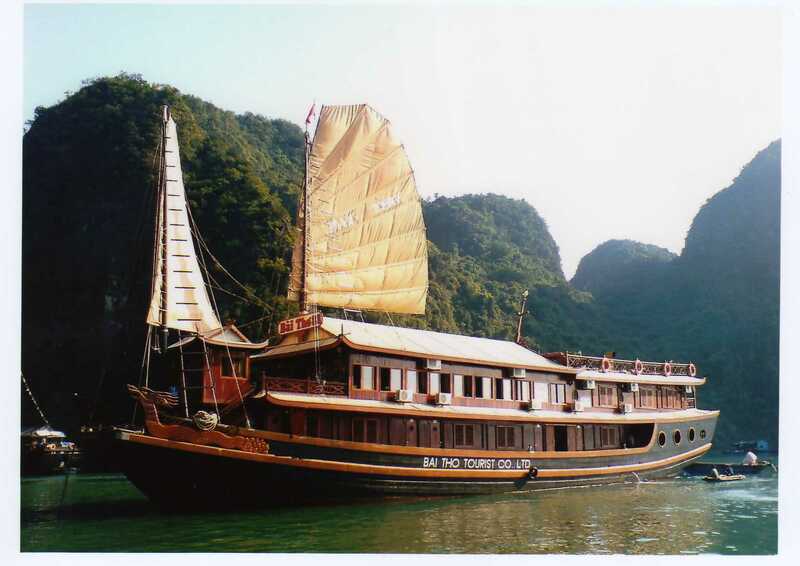 Bai Tho Junk is one of the pioneers in operating tourist transport on Halong Bay from 1991 with a few wooden limited capacity boats and some very simple daily tour programs to visit Halong Bay. 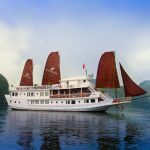 After 20 years, Bai Tho has become the first company to provide all day cruise and night cruise with any special events for visitors to Halong. 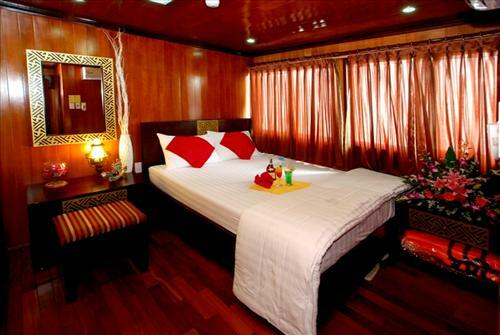 With over 188 cabins for staying overnight on Halong Bay- the smallest cruise has 2 cabins when the biggest cruise has 32 cabins- Bai Tho can give day cruise, overnight cruise for all visitors to come Halong bay for any purposes as vacation, relaxation, honeymoon, wedding party, meeting, conference that can be organized at some caves on the bay. Bai Tho has The Hanoi office and HCM office where to give any information relating to it is services with best consulting for your trip. 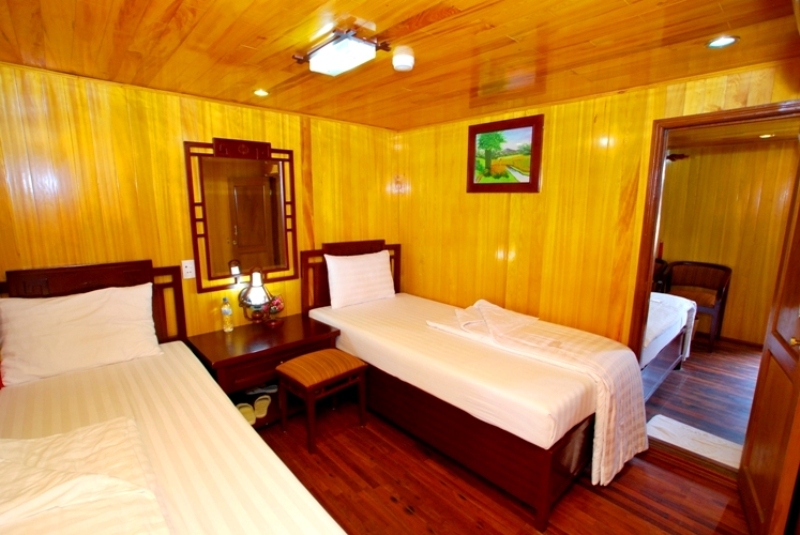 Bai Tho also has shuttle bus service to transfer to/from Hanoi and Halong everyday for all visitors. 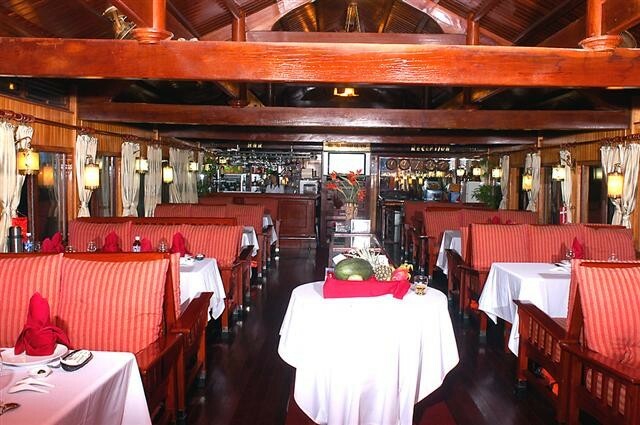 Bai Tho Junk has equipped with well-trained and professional staffs, a high-end service to all the luxury cruises. 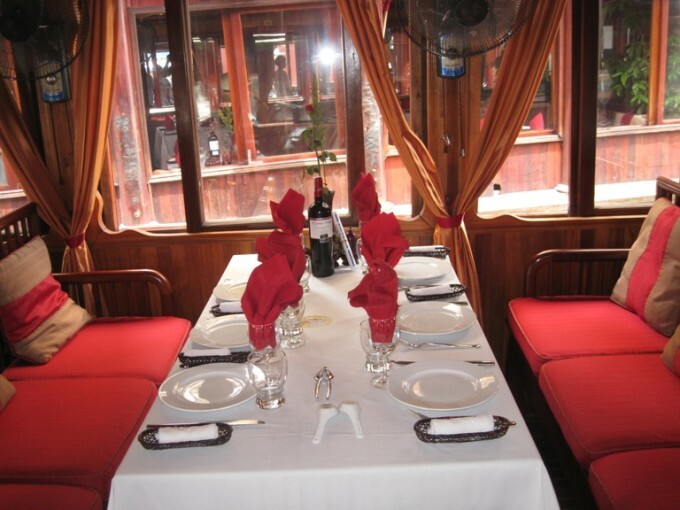 You can find hospitality, friendly and warm staffs with very high quality services on these cruises. 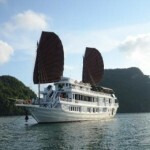 Bai Tho has become the best quality cruise provider on Halong Bay. Thanks to this, Bai Tho has been affirmed its development in the numbers of visitor to come and in its market share. The prestige of Bai Tho has been recognized by quality of service and by numbers of visitors. Victory cafe is a rest stop please for all our visitors to Halong after the long way to reach. You can choose and enjoy some snacks and drinks like tea, coffee, fruit juices and wine. Victory Cafe serves you during the time to wait for on board. Besides, you can access free WIFI Internet at Victory Cafe. We prepare a tender for serving any late guests to transfer to the cruise or any guest cut off the tour program shorter or any guests desire to visit any places outside of the planned program. Please contact us if any enquiry for tender! It’s really interesting to row kayak to explore some original islands and some caves in Ha Long. You can feel how close to the nature is and how amazing you explore new things in the world are. Let’s try to catch fish, squid and enjoy what you obtained after being guided by tour guide or staffs on cruise. 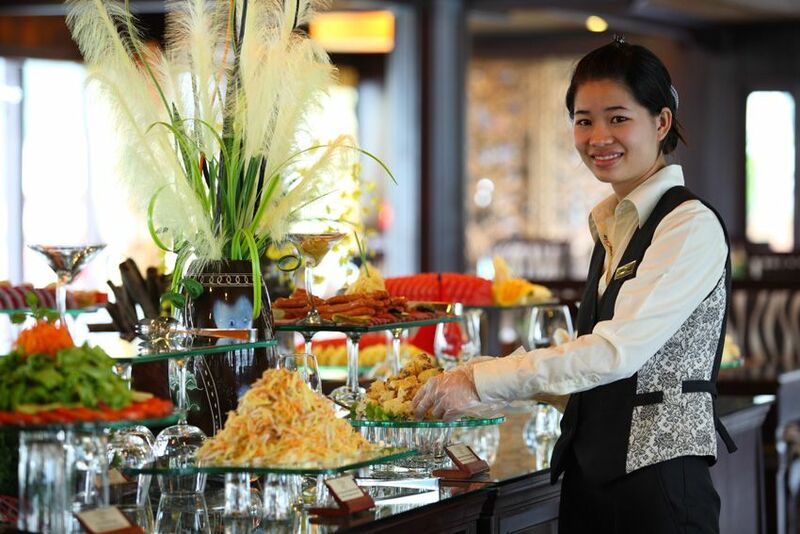 If you are interested in Vietnamese cuisines, our chef will share you some secrets of preparing good food. You can join taichi class every morning with our coach to relax a very fresh air on the deck. Furthermore, you can see the sunrise or have coffee, tea, or cakes for breakfast. We always meet your demand for the beauty by giving spa & massage services. These help you to recover your energy after a long day exploring. Please contact our consultant for proper services of better spa and massage. 16.30 Visit Titop beach. 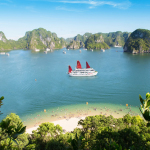 You can clim up to the top of the island getting the whole view of Halong Bay or swimming on the very descent beach. 09:30 Check-out cabins and settle bills Luggage collection. Having international buffet brunch served while cruising through Bai Tu Long bay, Bai Tho mountain and Ha Long market. 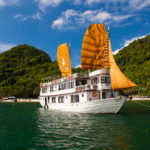 08:30 Arriving to Cruise through Ha long Bay and contemplate Mans head islet, Tortoise islet then Soi Sim Island, discover the bay from the nice Panorama, and enjoy swimming on the most beautiful beach. 09:30 Check-out cabins Luggage collection.